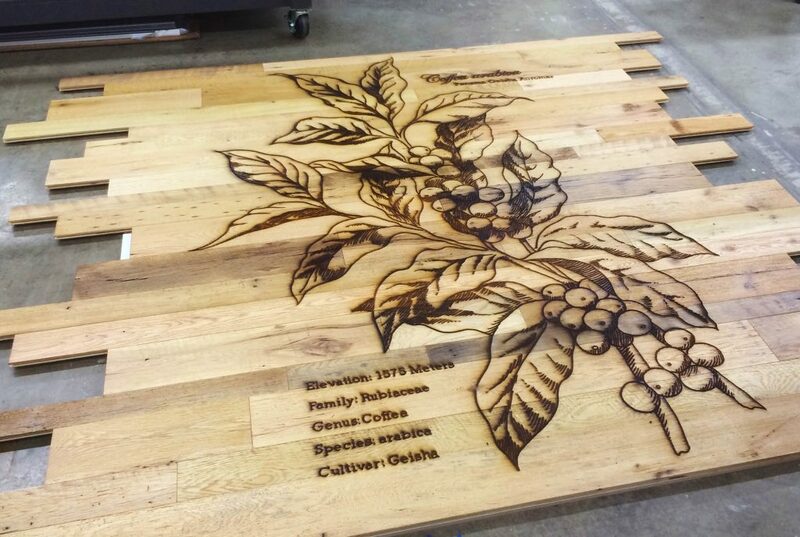 This Starbucks Siren Engraving is nearly 60″x120″! At LCI we specialize in large format wood wall cladding laser engraving. Our maximum laser bed size is 50″ x 100″ for engraving some of the largest projects but by tiling the cladding, we can go as big as you need! Wether we supply the wood or if you have your own panels or wall cladding, we have the solution for your project. 1. Do I need to supply LCI with a file for a large format wood wall cladding laser engraving? This is the company you will be happy with from small jobs to big jobs you always get fast and friendly service. The prices are very reasonable and competitive. Look no further than this company! — Marlon M.